When it comes to pre-baby spending, no purchase is bigger and more important than the stroller. It’s the mode of transportation you’ll be using almost every day, and it needs to see you through potholes, sleep deprivation, snowstorms and heat waves. That three- or four-wheeled beast is going to be your constant companion for years to come, which is why deciding on which one to choose can be such a difficult decision. 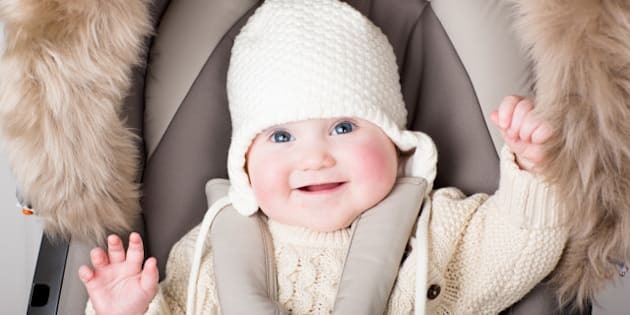 It doesn't help that everyone seems to have an opinion on what kind of stroller you should be using, with the recent controversy over strollers on public transit in Toronto testing many people's patience. To add to your confusion, every year there are more and more stroller models to choose from (with increasingly oddball names and miraculous labour-saving features). Plus, you can spend as little as $130 or well over $1000 on your stroller, be urban, or jogger, or convertible, or double, or umbrella, or super-solar-rocket-charged (I made that last one up). You really can’t go wrong with the UPPAbaby Vista. This is a truly versatile creation, allowing you to adjust to any stage of your child’s development. Car seat compatible? Check. Bassinet? Check. Forward- or rear-facing toddler seat? Check. Large storage basket? Check. Multi-position seat recline? Check. Optional rumble seat and stroller board? Check. Plus it’s got an SPF 50+ sunshade, a handy one-step fold and it comes in lots of fab colours (my fave’s called “Olivia”). The Bugaboo has caused mass stroller envy for years, and the latest luxe model to cause a commotion is the Cameleon. Like the UPPAbaby Vista, you get a wealth of different configurations for your child, which really have to be seen to be believed. Plus, you get the buttery-smooth Bugaboo transitions and the superior shocks that make it a three-terrain stroller (“city, sand&snow, woods”). It retails for over $1000, so it’s not a purchase to take lightly. But if you want to take a virtual test drive, the website lets you But if you want to take a virtual test drive, the website lets you “create your own Cameleon." Prepare to drool. Perhaps because of the boom in multiples births in North America, there are lots of fatanstic double strollers on the market these days. But the Bumbleride Indie Twin takes the blue ribbon. One of the best parts about this double stroller is the fact that each seat is individually adjustable – the backrests, canopies and footrests can all be adjusted independently of one another, which means whether you’ve got twins or kids of different ages, this double will work for you. It accommodates infant car seats and still gets through most doorways, at only 29 inches wide. Plus, the superior rear-wheel suspension will keep you humming along despite any speedbumps along the way. When it comes to umbrella strollers, Maclaren knows its stuff. The Globetrotter may not have the plethora of options you get with pricier standard strollers, but when it comes to travel, the Globetrotter is a practical choice. It’s super-small, light and easy to use, especially for anyone who needs to stow their stroller regularly in the trunk or on the streetcar. Maclaren has plenty of other awesome and inexpensive umbrella models -- like the Quest Sport and Volo – but whichever one you choose, you can be sure they are going to be lightweight, versatile and easy on the eye. This is a stroller with all the bells and whistles. Just not the bells and whistles you might expect. The 4Moms Origami features “power-folding,” so that it opens and closes itself at the touch of a button. It’s self-charging, which means that generators in its rear wheels charge the Origami while you walk and can even charge your cell phone. It has daytime running lights, so everyone can see you and your charge sashaying down the avenue, and an LCD dashboard, with a thermometer, speedometer, trip and lifetime odometers. It’s cool, without a doubt. But if you buy it, make sure you’re OK with attracting attention wherever you go. BOB creates products specifically for people who want a little more speed with their stroll. The Revolution is a jogger that will keep dedicated runners happy (and their baby too): excellent maneuverability because of a swiveling single front wheel, an “exceptionally smooth” ride because of a superior suspension system and an ultra-padded adjustable reclining seat for mid-jog snoozes. It’s a heavy-duty machine that you’re not going to want to be hauling in and out of your car on a regular basis, but it’s tough enough to handle your active lifestyle and not get bruised.